The excitement of night racing has become commonplace in NASCAR’s top-tier series – from Saturday night short-track racing at Bristol to celebrating Independence Day weekend in Daytona. But 25 years ago, the thought of night racing was about as difficult to imagine as lights at Chicago’s famed baseball stadium, Wrigley Field. Shortly after the lights went up in Chicago in 1988, however, Charlotte Motor Speedway founder and Speedway Motorsports Inc. Chairman Bruton Smith set up a lighting project of his own, debuting in 1992 at the 1.5-mile track. Before the 1992 season, Smith partnered with MUSCO, a sports lighting company, and set forth a plan to install a 1,200-fixture, $1.7 million lighting system that was, in true Smith fashion, better than all the rest: adjustable mirrors were used to moderate the lights with respect to the drivers, television cameras and fans. 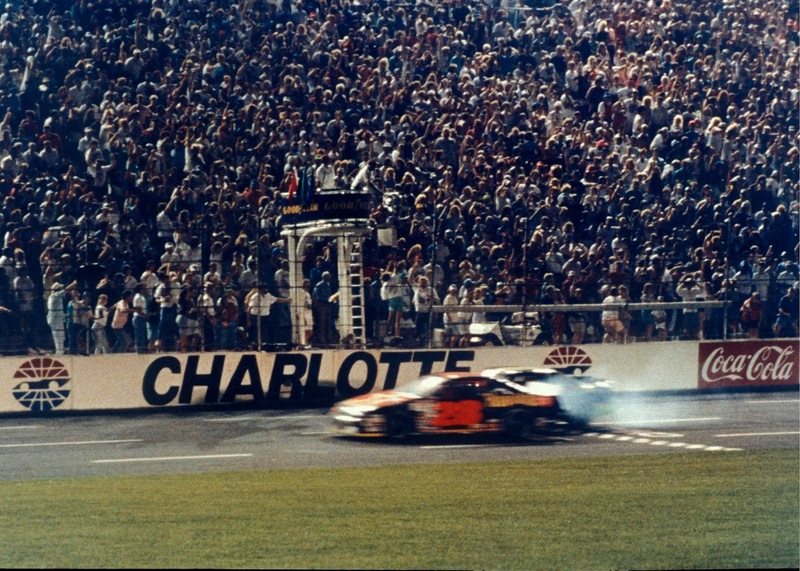 Charlotte’s first race under the lights was the All-Star Race, then known as The Winston, in May 1992. Billed as “One Hot Night,” there was excitement in the air, on the track and at home, where the race was broadcast across the nation on the now-defunct TNN (the Nashville Network) – prime-time racing was about to become a reality. The 20-driver field featured the top names in NASCAR from the late 1980s and early 1990s: Darrell and Michael Waltrip, Richard and Kyle Petty, Rusty Wallace, Bill Elliott, Dale Earnhardt, Davey Allison and Alan Kulwicki among them. Allison won the pole for the event and led the entire first 30-lap segment – only to be sent to the back of the field for the second field thanks to a full-field inversion. Kyle Petty took the win in the second segment, with Allison moving up to sixth – that set up the 10-lap shootout for all the marbles. The final lap of the final segment came down to Earnhardt, Kyle Petty and Allison. Petty got a run on Earnhardt, which the future Hall of Famer attempted to block; heading into the third turn, Earnhardt lost control of his No. 3, causing Petty to check up and Allison to go to his inside for a shot at the win. Allison got the win by inches, but he and Petty touched as they crossed the finish line, sending Allison hard into the outside wall in a shower of sparks. Allison lost consciousness for a few moments, and was extracted from his car using the “Jaws of Life” – he was airlifted to a nearby hospital with a broken collarbone and numerous bruises.